Bustling in from a get-together to honour long-serving staff members, Maurizio Redaelli is a candid and engaging interviewee. 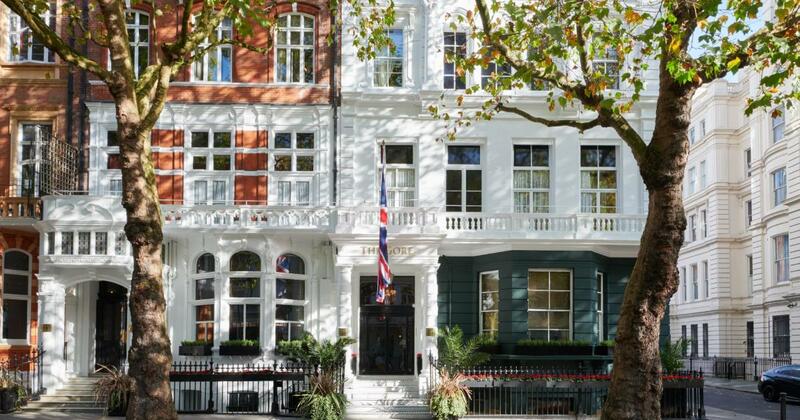 Appointed by Italy-based Starhotels Collezione to run its three London properties - The Gore, The Franklin and The Pelham - a little under two years ago, he was charged with building up the commercial operations for what was then a relatively new entrant to the British market. “I took the leadership of the three hotels here in London just after the opening of the Franklin in August 2016,” he explains. “We bought the Pelham and the Gore in 2014 and, after two years of restoration and £9 million of investment, opened the Franklin in 2016 – we now own the three properties. “Starhotels Collezione is still very new to London, so we have had to really focus on developing the three properties. 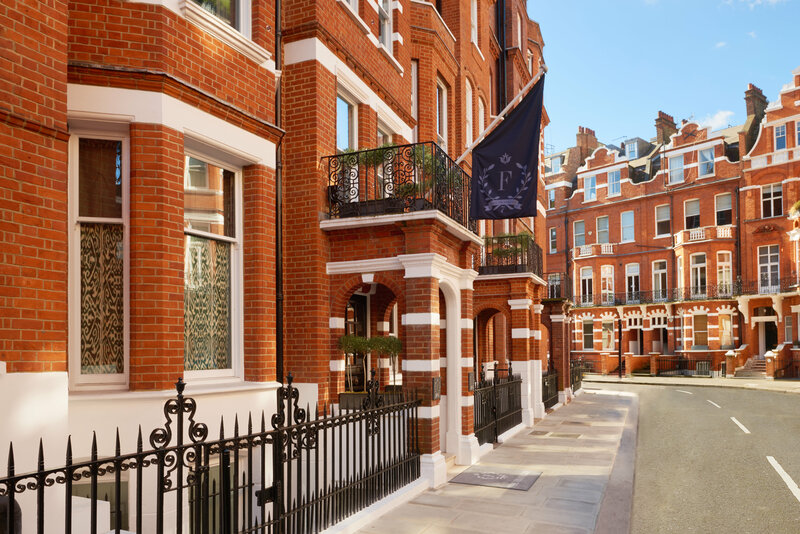 While the product was in place, with the three Kensington hotels winning plaudits for their quality, the biggest challenge has been putting together teams to run them, Redaelli continues. “We are lucky to have team members that have been working with us for number of years - even some that were working in our properties before Starhotels took over. “We do however, like everyone else on the industry, face difficulties in hiring new staff. However, with three properties at his disposal, moving people around to meet their demands is that much easier. “There is a lot of flexibility here – it is a big advantage,” Redaelli continues. What has caused this shortage of staff? London will welcome 9,000 rooms to the market in 2019, following 8,400 this year and 5,400 the year before, placing an ever-growing demand on a dwindling number of workers. Mandarin Oriental has plans for a second property, Rosewood has broken ground on the former American embassy site, while Raffles and Peninsula will also debut in the coming years. All need new staff, while serviced apartments are also booming. At the same time, Brexit has made it less attractive for overseas workers in the UK. Sterling has continued to depreciate, hitting the value of remittances, while uncertainty over future visa requirements has forced many foreign nationals to question their immigration status. The flipside of the falling value of sterling, however, has been to make the UK, and London in particular, irresistible to international guests. Redaelli continues: “When we were preparing the budgets for this year at the end of 2017 and we were told we were going to have an additional 8,400 bedrooms coming to the market we were quite worried. “But it has been an exceptional year, so far, across the three properties. “July was the best July ever in London, while August was very, very healthy. “London has always been a very attractive destination, but it is becoming more so. Both North America and Europe have grown, in terms of quantity, but not market share, he adds, while explaining the Middle East has been growing as well. “Theoretically it is a bit fresher here in the UK during the summer, drawing guests from the Middle East, but it was 30°C for weeks,” laughs Redaelli. He continues: “In South America, the potential of the market is huge, but we are aware of the political and economic challenges they have in different countries. So, what does Starhotels offer in London? “The product is very different across the three hotels,” Redaelli explains. “The Gore is quintessentially British, one of the oldest properties in London, and it appeals a lot to the North American market, as well as the UK domestic market. “It is an Old-World experience for these guests. “The Pelham, on the other hand, is more modern, very fresh, but like the Gore, every room is unique, so you have a different experience each time. “The location is also as good as it gets, right in front of South Kensington station, in the middle of the French district; this is a very popular area and the Pelham is right in the centre of it. “Hoteliers always say they try to create the ‘home away from home’ feeling, and with the Pelham this is very easy, when you walk into the hotel you feel as though you are entering a big house. The jewel, though, is the Franklin. Tucked away on a quiet residential street, surrounded by the timeless charm of Egerton Gardens, the hotel is in the heart of one of the most prestigious neighbourhoods in the British capital. Split across four classic early Victorian buildings, the hotel sits on the fringes of Knightsbridge, just a short walk from Harrods and the Victoria & Albert Museum. While many of the front-side rooms face the beautiful and historic Brompton Oratory, the back of the building looks out onto the private, tranquil lawns, flowerbeds and lofty plane trees of the gardens. Exquisitely furnished with luxurious materials, revealing a penchant for Italian taste, the rooms represent the ultimate distillation of elegance. Designed by Anouska Hempel, the colour palettes comprise mainly muted and neutral tones – greys, blacks, whites, teak and tan – which are lent further authenticity by natural oak flooring, Victorian-style windows, mirrored furniture and wrought-iron four-poster beds. “Obviously, the location is again a real help, near to Harrods, a very popular area in Knightsbridge,” adds Redaelli. “The style is very modern, despite being in a red brick townhouse, you can see our designer has created something very new. “We are just a few steps away from the Victoria & Albert Museum, the Science Museum and several other sights. With so much growth in such a short period is there anything else on the horizon, I ask as we close? “You never know, our owners and chief executive are always open to opportunities, but there are not concrete plans,” he dead bats. Starhotels is a collection of 29 luxury hotels that share a chic style, family ethos and a dedication to authentic Italian hospitality. The luxury hotel group features properties in the most attractive destinations in Italy, New York, Paris and London. Run by the Fabri family with headquarters in Florence, Starhotels is distinguished by true Italian style and faultless professionalism.